The United States of America has warned Pakistan that another terror attack on India would prove problematic for them and has asked Pakistan to take irreversible and strict action against terrorists. New Delhi: The United States of America has warned Pakistan that another terror attack on India would prove problematic for them and has asked Pakistan to take irreversible and strict action against terrorists. A senior official of the Trump administration at the Whitehouse on Wednesday, said "We need to see Pakistan taking concrete and sustained action to reign in the terrorist groups, mainly the Jaish-e-Mohammed and the Lashkar-e-Taiba in order to ensure that we don’t have re-escalation (of tension) in the region". On conditions of anonymity he also added "And, if there’s any additional terrorist attack without Pakistan having made a sustained, sincere effort against these groups, it would be extremely problematic for Pakistan and it would cause re-escalation of tensions, which is dangerous for both countries". On being asked about the aftermath of the Balakot air strike by Indian fighter jets, the official said Pakistan had made some initial moves. These moves include freezing of funds and assets of some terror groups in the country and taking administrative control of certain Jaish-e-Mohammed facilities. He also said that some irreversible action needs to be taken by Pakistan, as even in the past they have made some arrests and released the individuals. Some leaders are also still allowed to hold rallies in the country. 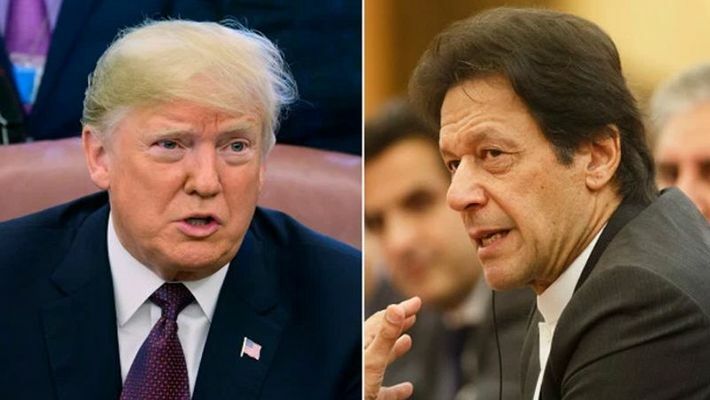 By further emphasising that America wants to see "irreversible action" from Pakistan, he said the USA is working with international partners to pressurise Pakistan. Citing the economic problems of Pakistan, the senior member has said that the Financial Actions Task Force (FATF) clearly shows the need for Pakistan to deal with the terrorists. He said "the choice is Pakistan's". It would be their decision if they wanted to be fair international players and avail aids from the world or if they were going to continue turning a blind eye to the terrorists and isolate itself further. The terror terrorist attack on February 14th on India was a demonstration that Pakistan’s continuing provision of sanctuary for any terrorist group is not acceptable,” the official said. USA has reached out to several other countries like China, Saudi Arabia, the UAE, Qatar, the United Kingdom, the European Union, Japan and Australia in order to seek their help in deescalating the situation.